Cinnamon Apple Balls: fresh, but sweet with walnuts and dates. So tasty! Apple, cinnamon, raisins: a classic combination you have to cherish. 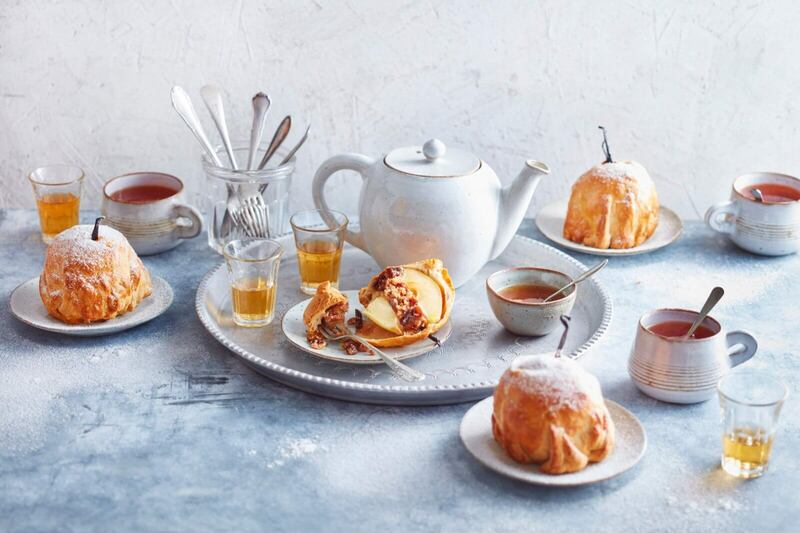 With some help, you can easily bake these stylish apple balls with walnuts and dates. Fresh & sweet! Peel the apples and hollow them out with a knife or spoon. Make a mixture of dates, cinnamon, walnuts, raisins and the marrow of the vanilla sticks. Remove the dough from the package and cut into four equal pieces. Cover the apples each with a piece of dough. Make sure the apples are completely covered in dough and close it by pressing with your fingers. Make a small hole on top of the dough so that air can escape during baking. Bake the apple balls for 30-35 minutes until golden brown at 175 degrees. In the meantime cut the vanilla sticks into three. Remove the balls from the oven, place the vanilla in the previously made hole at the top of the apple and sprinkle powdered sugar over the apples.